VisitBloomington.com is the site of our local visitors’ bureau — here you’ll find extensive info about lodging, restaurants, and other things to explore while you’re in Bloomington. Downtown Bloomington has a lot going on, all the time. Check BIRA (Bloomington Independent Restaurant Association) for interesting independent eateries. 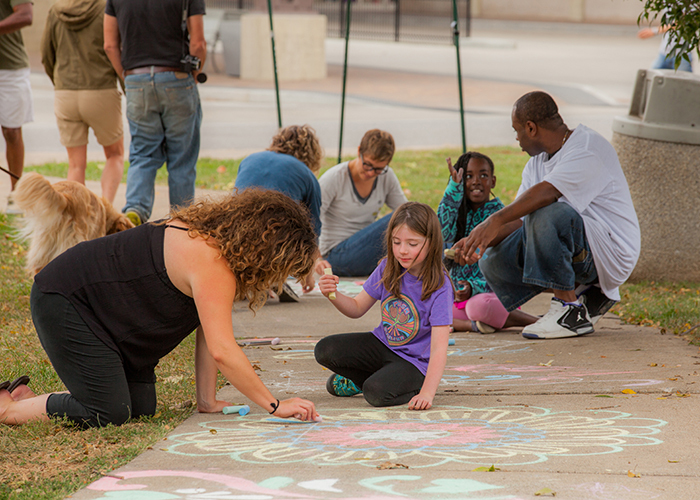 The City of Bloomington’s BEAD (Bloomington Entertainment and Arts District) helps locals and visitors alike get a better grasp on Bloomington’s diverse and extensive arts offerings. Walk (or bike) the B-Line Trail. It’s a rails-to-trails urban park with public art and easy access to restaurants and other places of interest downtown. On Saturday mornings (April – early November), don’t miss the Bloomington Farmers Market, one Indiana’s finest. For kids and families downtown: WonderLab Science Museum and the Monroe County History Center. World music publicity firm rockpaperscissors is Bloomington-based. Their client roster includes many Lotus Festival faves.